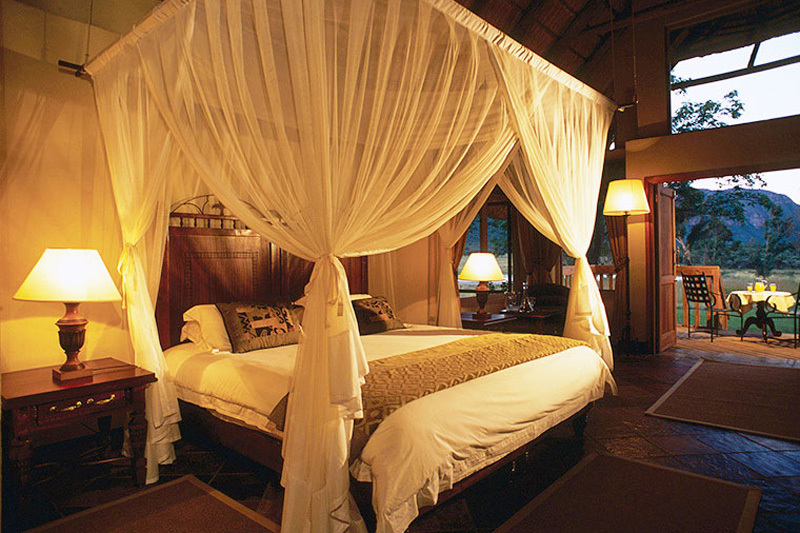 For those who don’t want to worry about taking anti-malaria pills, malaria free game reserves do exist in South Africa. We understand that game viewing is your priority, not having to think about taking pills that don’t necessarily taste all that good. And whilst a Big 5 game viewing holiday in the Kruger National Park is top of many first time visitors’ lists, it comes with the threat of moderate-risk malaria and the need to take prophylactics between September and May. You should know that things in Africa have hugely improved with regards to malaria control, even if deaths from the disease have remained largely unchanged over the last couple of years. Interestingly the best way to prevent malaria, with anti-malarials, is still not a consistent measure in those countries where malaria, particularly amongst children, is prevalent during the rainy season when mosquitoes are rife. South Africa was named by the WHO as one of five African countries most likely to eliminate malaria by 2020. The good news for all visitors to the country is that malaria free game reserves in South Africa are plenty and there is a huge choice available to you. 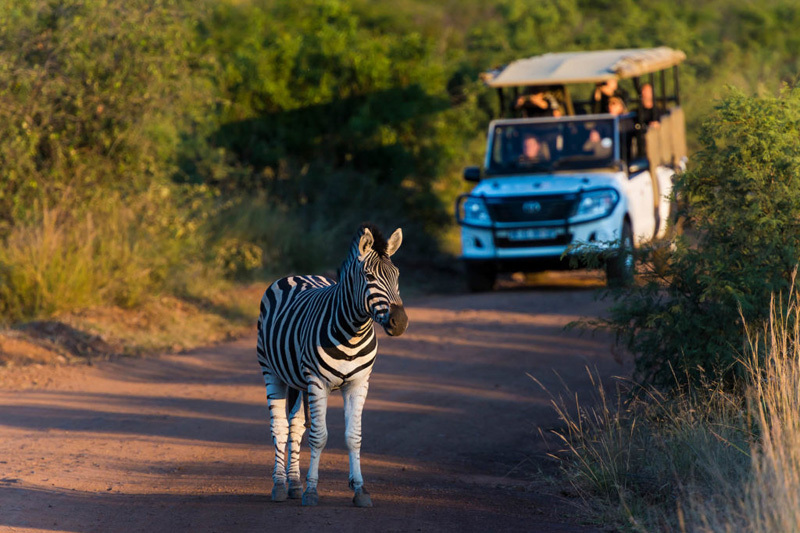 You can’t go wrong by choosing Madikwe Game Reserve, in which this pretty lodge lies up against the Groot Marico River, surrounded by African sand veld and home to the Big Five and wild dog and cheetah. 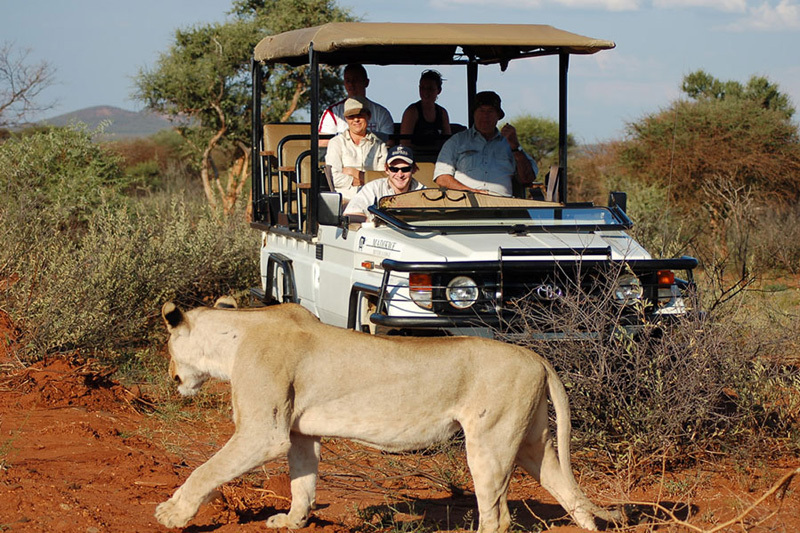 Experience the African veld and wildlife just over an hour from Johannesburg with the Magaliesberg as your backdrop. The main lodge overlooks the elephant dam, the spa will help you unwind and the private collections of ox wagons intrigue. If the sound of lions tongues lapping at the river’s edge just outside your window is enough to delight you, then Tau will more than reward your expectations of Big 5 and the sense of getting away from it all in the African bush. 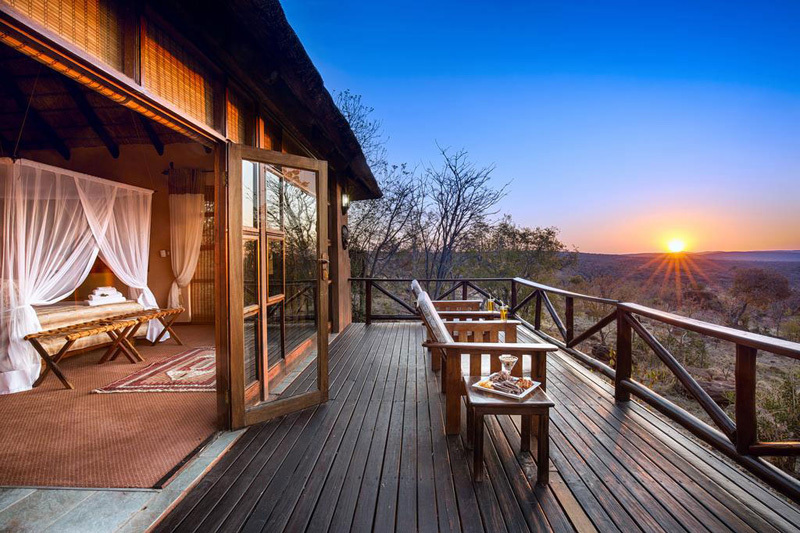 Impodimo is another option for you at Madikwe Game Reserve (there are several) offering eight glass fronted chalets along the edge of a spring with incredible views, meals and tracking of game on foot. 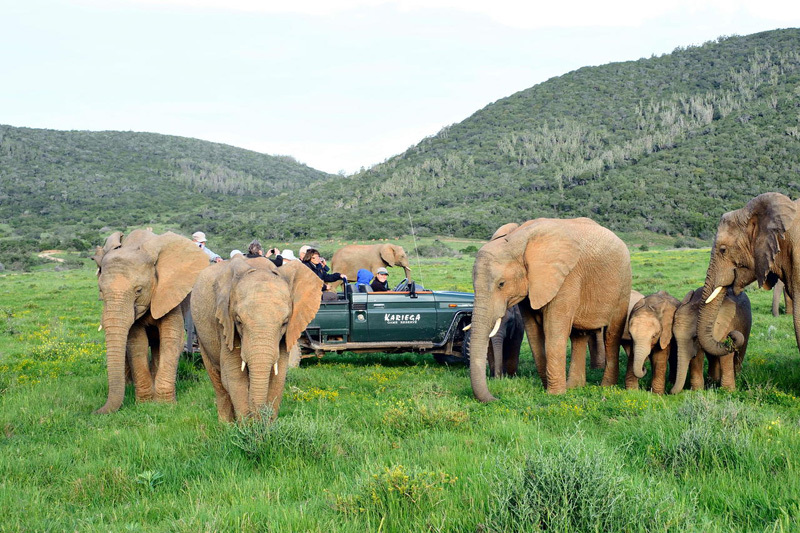 Close to Sun City, Tambuti Lodge lies in the Black Rhino Game Reserve of the well known Big 5 Pilanesberg National Park with game drives, walks and bird spotting. Modern, fun and close to Johannesburg. Shepherd’s Tree is a more upmarket offering on the south-western side of the Pilanesberg National Park, adjacent to the Wilderness Area with great walking trails and setting. There’s also a gourmet restaurant and outdoor boma. 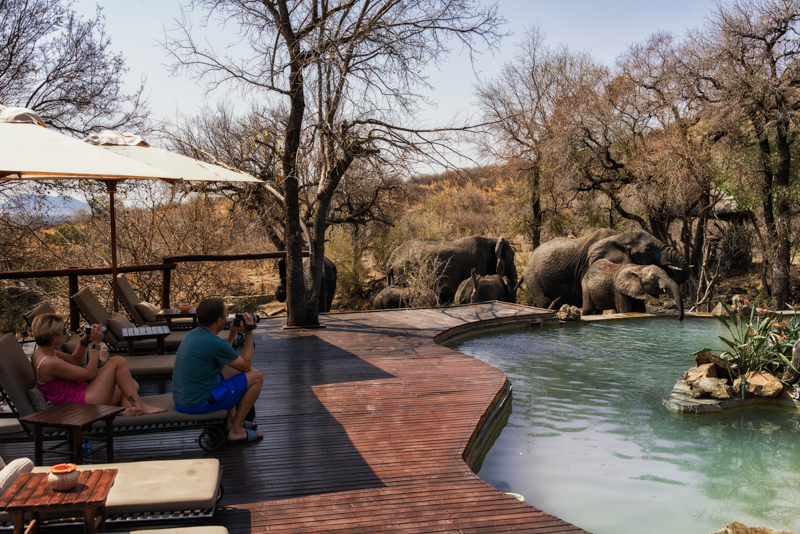 Our third offering in the Pilanesberg (and within reason given how close it brings Big Five viewing to South Africa’s major metropole), Black Rhino Lodge overlooks a waterhole often busy with buffalo and elephants. 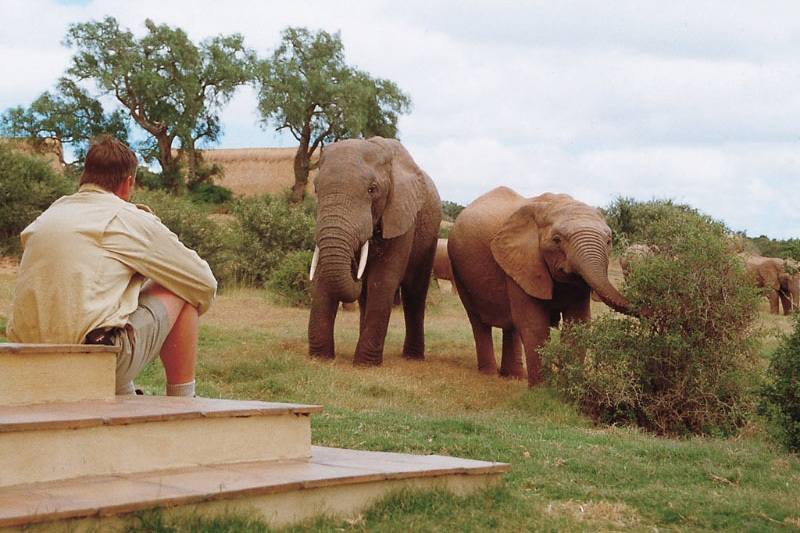 You’ll relish the natural environment and its rich red mountain magnificence alone (the mountain views at this safari lodge are exceptional), but throw in a chance to see the Big Five on foot and it becomes unmissable. 22 000 hectares of ravines, dense bushveld and forested hills are yours for the duration of your stay in the Waterberg Biosphere. Dubbed ‘the place of the mountain’ Entabeni offers five different lodges. 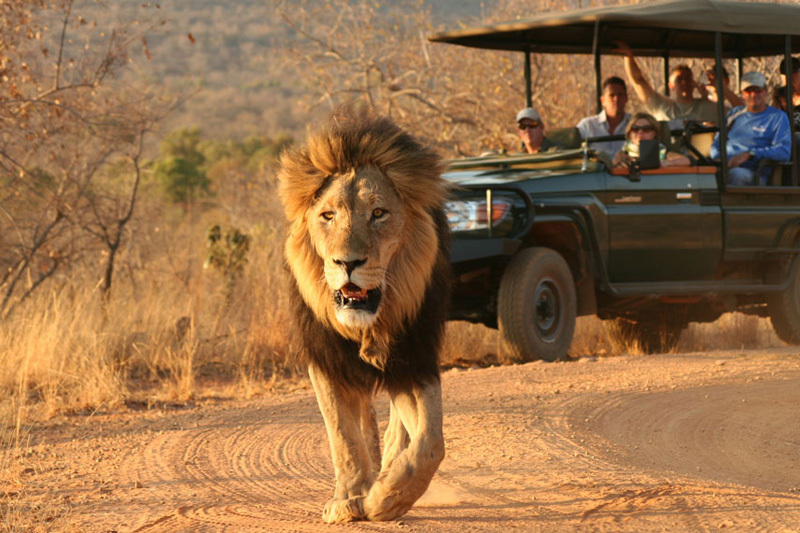 Phumelelo lies in the greater Mabalingwe Nature Reserve (you need to reserve to visit the lion enclosure) with access to the Big Five, offering luxury accommodation in just four African themed chalets. You’ll find Makweti in the Welgevonden Private Game Reserve (there are no fences here and animals can wander freely through the lodge) surrounded by pristine bushveld. 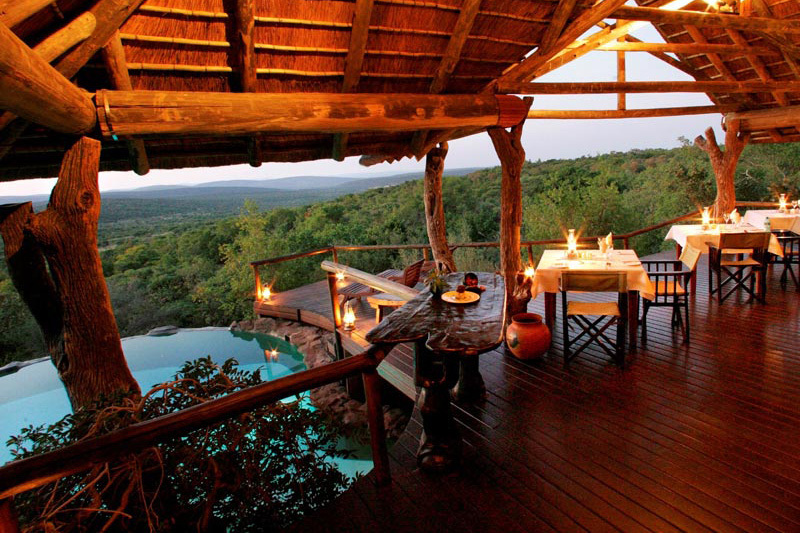 The lodge overlooks a waterhole from a viewing deck. Another lodge in the private Welgevonden Game Reserve, Jamila lies surrounded by the ancient Waterberg Mountains and unspoiled bushveld. Beautiful chalets house only 10 guests at a time, so the service is personalised and attentive. 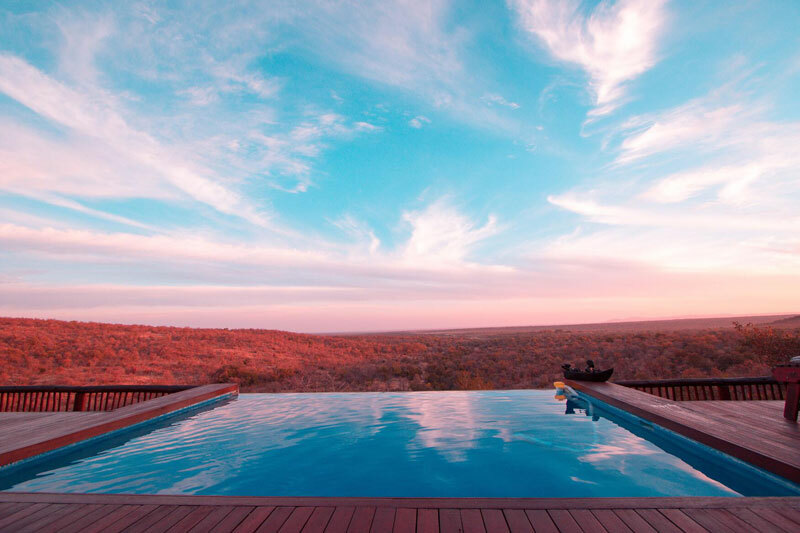 One of our most popular Waterberg lodges, this rather unique bushveld retreat lies right up on a clifftop in the Welgevonden Private Game Reserve, offering eight suites each with its own deck and plunge pool. 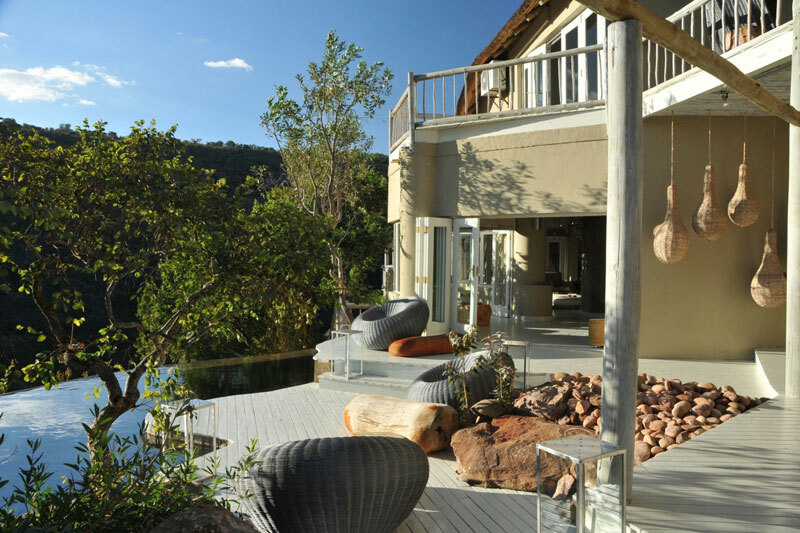 Welgevonden Game Reserve has one of the biggest collections of white rhino in the country, and these carefully positioned suites in amongst rocky outcrops, give you incredible views out across the Waterberg Mountains. 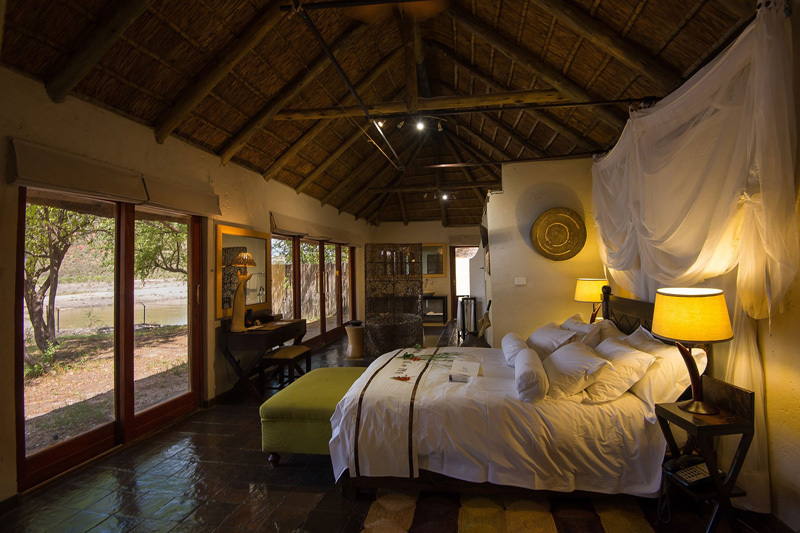 Sediba is not strictly Big Five game viewing, but we’ve included it here anyway because we’re sure you’ll agree that their two lodges are pretty awesome when it comes to views and bush experience. 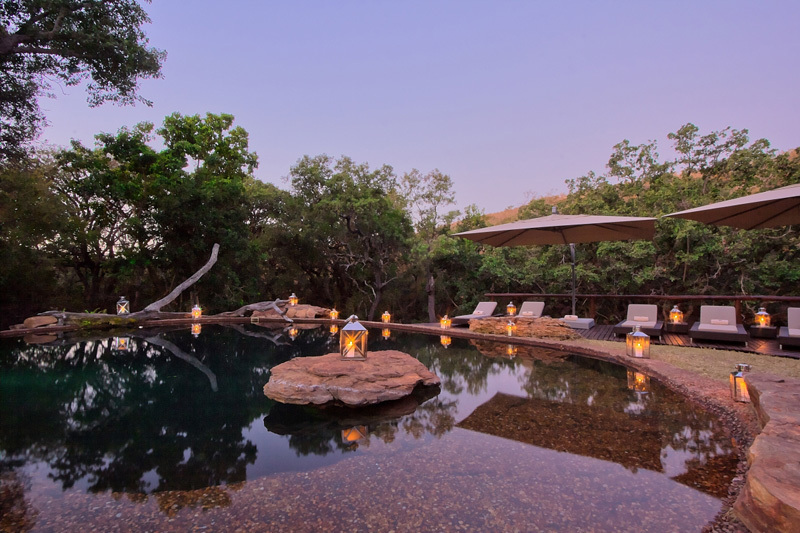 Kichaka is set between two streams in a bushveld valley, a lodge sleeping only 20 people in stone and thatch suites, each with its own viewing deck. 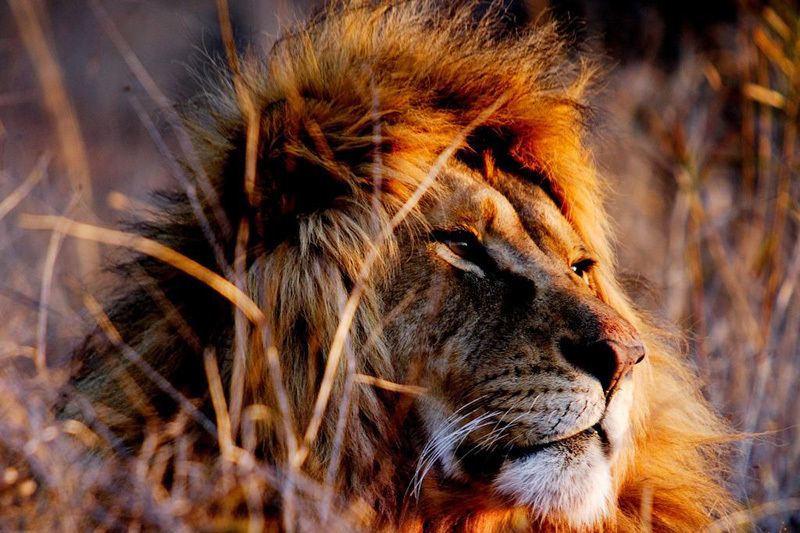 The stars at night come into their own and play second fiddle only to the game, which includes the Big Five. 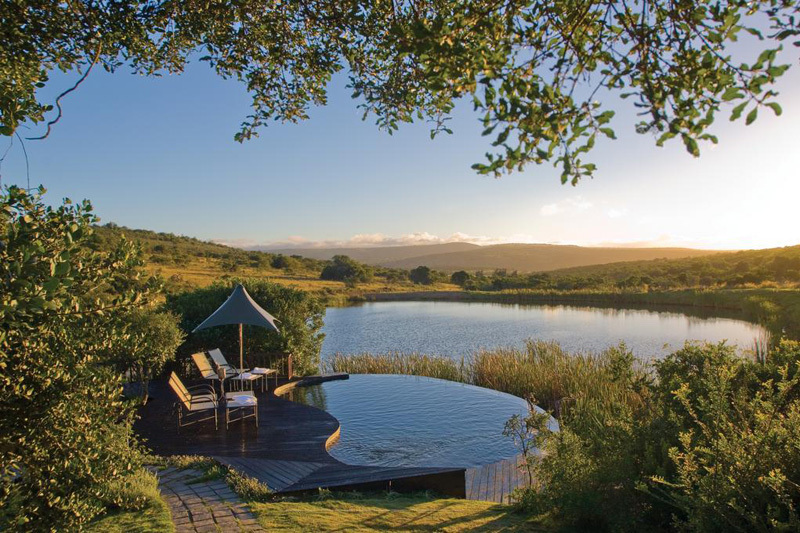 Oh wow, at Kariega’s River Lodge, ten thatched suites line the banks of the Bushman’s River with access to daily safari drives, river cruises and walking trails. Kariega uniquely connects the Big Five game to the sea. 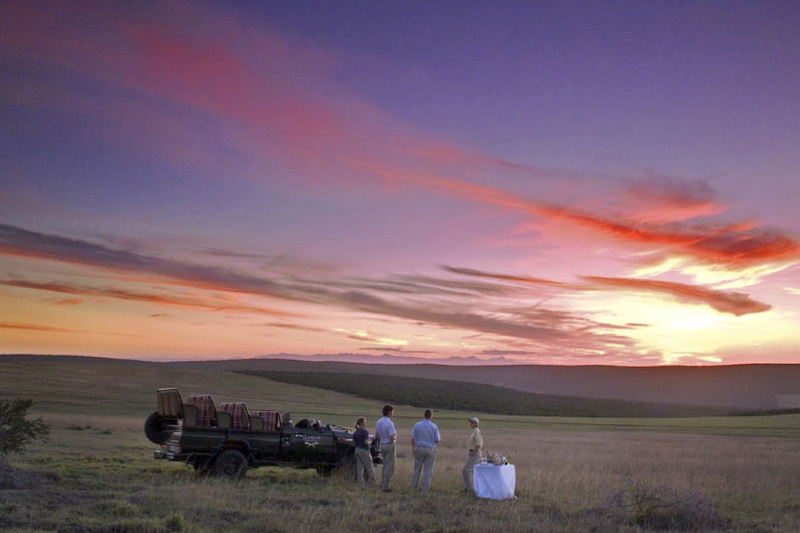 This gorgeously colonial-style game lodge in Addo Elephant National Park, Gorah provides 11 tented luxury suites with views out over the savannah plains. The main house at Gorah is a national monument. 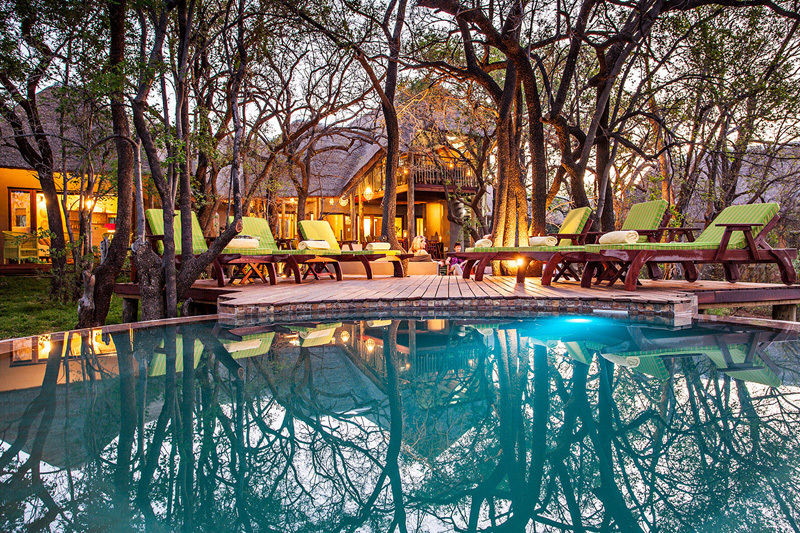 Amakhala Reserve’s Bush Lodge might be only 45 minutes’ from Port Elizabeth, but the rustic luxury tented suites and viewing decks soon work their magic and you forget that city life exists outside of the bushveld. 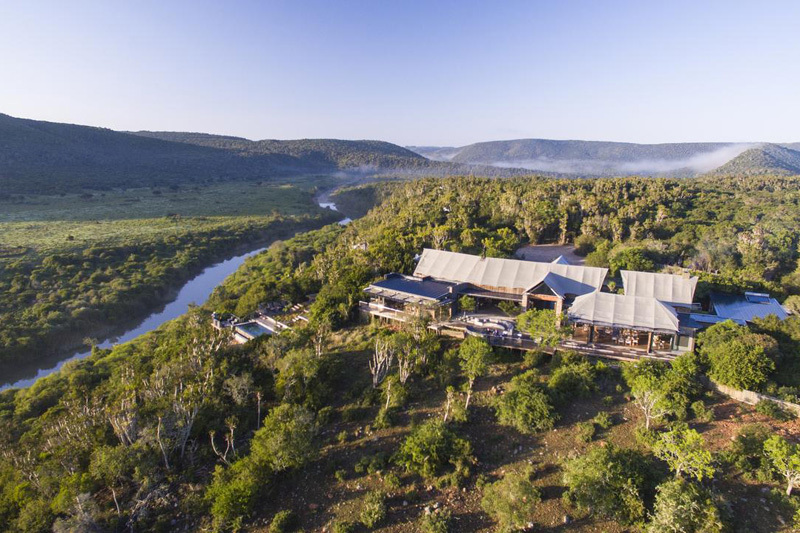 Settler’s Drift lies in a remote and untouched part of the Kariega wilderness, offering nine tented safari suites with decks overlooking the Bushman’s River. Settler’s Drift Lodge is exceedingly beautiful, modern and spacious. 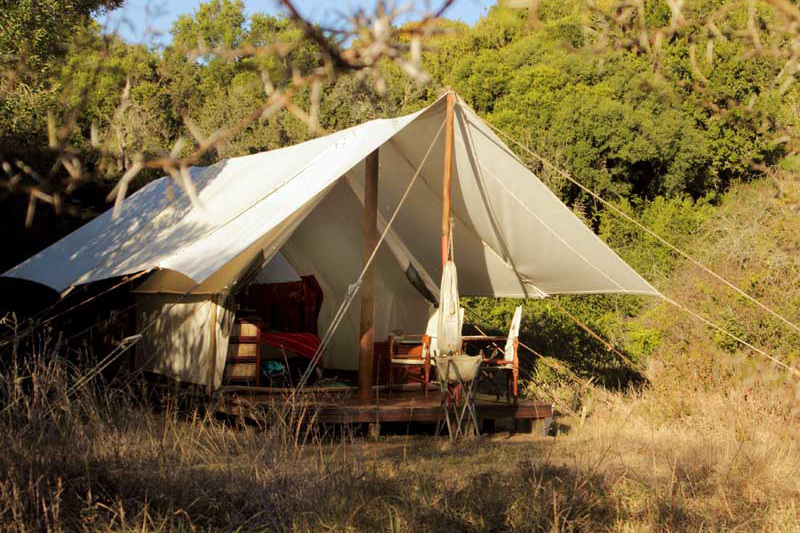 In the style of a classic 1920’s expedition camp (but without any of the stress or toil this time in the bush must have brought settlers), Quatermains is pure ‘adventure’ from its 1900’s style safari tents and military campaign furnishings to its relaxed central boma with an open fire. 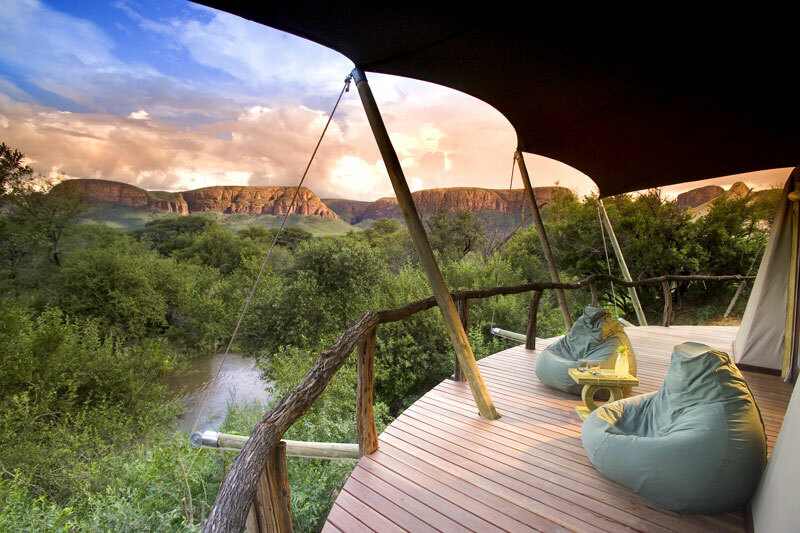 Another Amakhala Game Reserve option, Hillsnek lies in amongst the hills above the Bushman’s River with incredible views and safari tents on wooden decks. 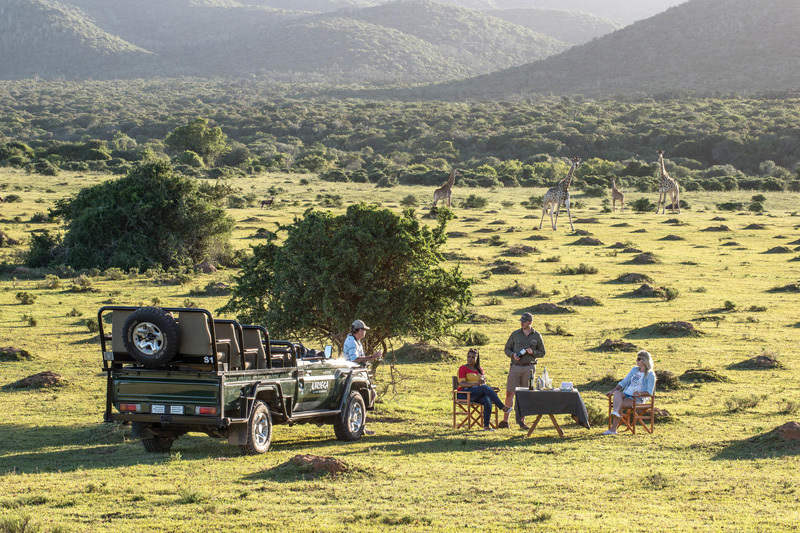 It’s an ‘exclusive-use’ lodge with its own host, chef, ranger and landrover at your disposal. 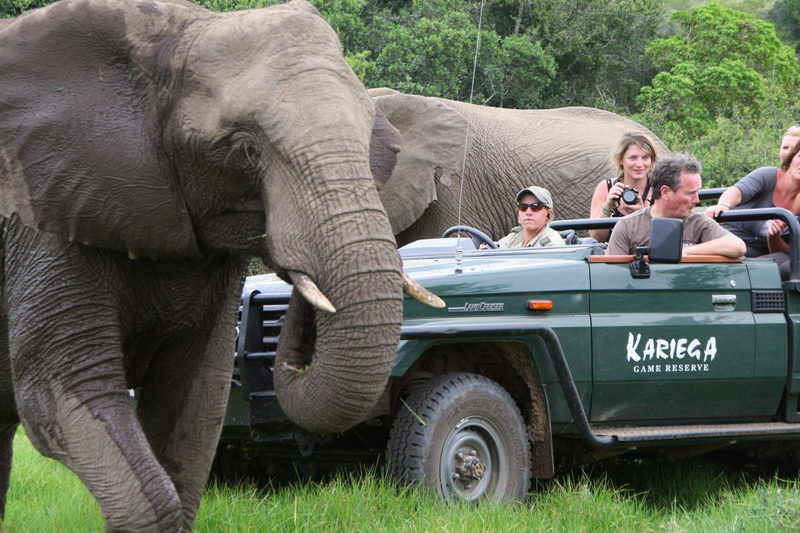 Quirky decor and a superb location make this Kariega Game Reserve option well worth it. 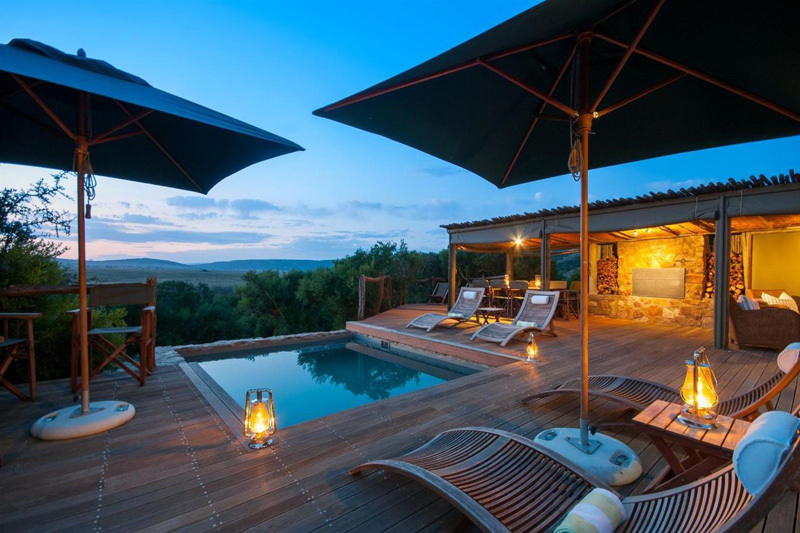 Ten luxury suites and private plunge pools overlook the valley beyond making this unique malaria fre game reserve an excellent choice. Please Note: even though malaria is considered a killer disease the mortality figures reflect Africa’s inadequate health care rather than the prevalence of the disease. Most tourists who get malaria recover completely because of access to doctors, medicine, clean water and food. If you are at all worried about malaria you should consult your doctor and possibly take prophylactics. Not concerned with taking Malaia prophylaxis? 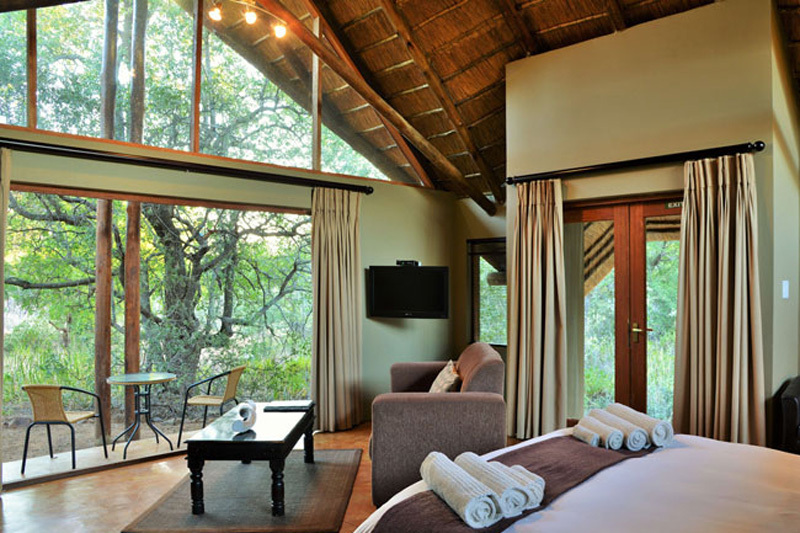 See Mpumalanga Game Lodges.